Writer’s block can happen to any of us at any time, but usually, it strikes just as you sit down in front of the computer to type your epic masterpiece. It doesn’t matter if you are working on a short story, an essay or 400-page novel, the words you wish to put down simply won’t come together. That’s when it might be time to take a strategic look at how to overcome your writer’s block. Here are some helpful tips, tricks and techniques to help you get you those creative juices flowing again! Set a time and stick to it every day, no matter what that time of the day it happens to be. Whether you sit at your desk or wherever you like to write, set yourself up to write at the same time of day, whether it be first thing in the morning, in the middle of the day or late at night. Most people who love routines will easily get into a groove. Create a realistic deadline in order to trick your brain into a sense of urgency. Set a goal of so many words in an hour, set an alarm clock or the kitchen timer, and start writing. Many people work well under pressure, and this will help you figure out if you’re that kind of person. Engage in an activity that has nothing to do with reading or writing. Go for a walk around the neighbourhood, clean the kitchen, play with your pet or some other mundane task. Instead of staring at a computer screen or the page of a book, give your body something to focus on and get your blood pumping. Afterwards, sit back down and try to write. Instead of getting distracted by social media or watching TV, unplug from your computer for a bit. Grab a piece of paper and a pen and start writing the old-fashioned way. Oddly enough, putting words to paper actually increases brain power by making more neuronal connections within your brain, which can foster a more efficient thinking process. Subject your senses something new inspirations. Set up your writing utensils on the terrace, go to your favorite cafe or the bookstore around the corner. See if new ideas hit you along the way as you contemplate what to write. Many times a simple conversation with a good friend, a co-worker, or your spouse, can help gain some perspective. Discuss any topic, do not restrict yourself to the subject matter you’re writing about. 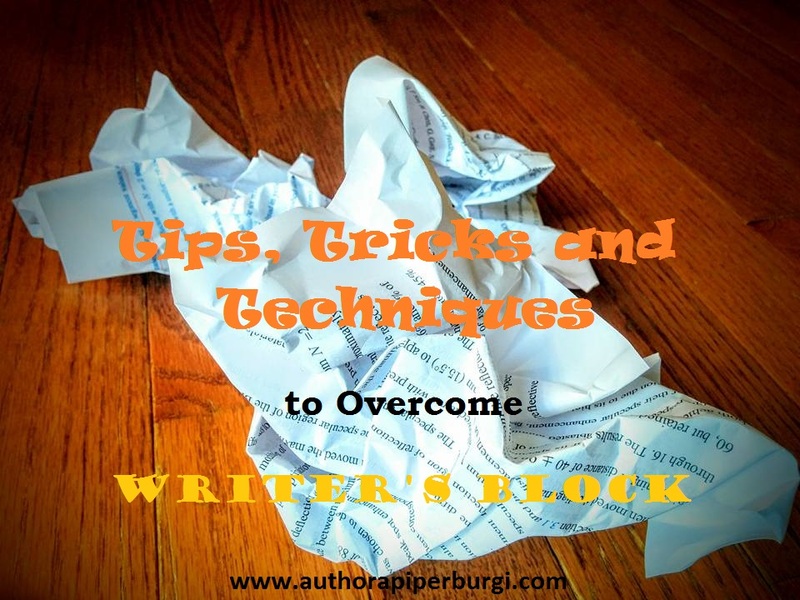 Another person’s perspective often leads to a breakthrough that clears your writer’s block. Read something for half an hour before you begin to write. It doesn’t matter what you read, but other writer's concepts may get you an idea or two. Ensure you enjoy the topic you read, whether you dive into the latest newspaper, the newest historical fiction novel or Shakespeare’s sonnets. Inspiration can jump out at you from everywhere. Begin writing your piece from in the middle or at the end instead of the beginning and work your way forward. Go back to your table of contents to see what jumps out at you. Start with the most fascinating aspect first, and go from there. Everything else will eventually follow. What about you? How do you overcome writer's block? Feel free to share your tips and tricks in the comment section! Great tips! I think once we start---if we can start somewhere----then we have succeeded. Today I felt drab and not particularly geared up for writing my WIP, but I made myself sit at the laptop, and eventually got into it. Other days I have to take a walk or bake a loaf of bread before the muse meets me. Thanks for the post. Writer's block can happen to anyone at anytime. This surely isn't good if we are writing on a regular basis. I liked the way you have assembled some of the tips on how to tackle writer's block the easy way. Thanks for the share! 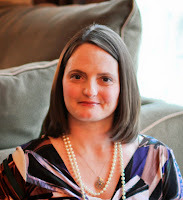 I am Katie Smith, even i want to become a writer.I also face a problem in my writing, in fact the way of my writing, whether its a novel or a short story.But after reading your blog it almost got solved.Such an informative blog.The above tips and tricks every budding writer should keep in mind. Thank you for the blog. You're welcome! Hope the article helped you! You're welcome, Ryan Carter! I understand the feeling of irritation when you're writing, and suddenly you're mind seems to go blank. Hope these tips and tricks help you in your future writing endeavours...Happy Writing! A reliable partner for getting customised papers done and in a certain deadline is us, Us. We are here to always keep you on time and help you give sufficient time for you other crucial tasks. This is not just an essay writing help service but to meet you’re other requirements at its best as well. We want to make you tension free with the help of our efficient professionals to be at your service through their knowledge and experience. You can check out all the features of our service in order to make it easy for you to place an order. We provide the best writing services on any subject with customised writing. The exact requirements of the clients are focussed on which is both form as well as content which includes standard writing and the desired word count. The prices are according to the requested standards and requirements of delivery.